HST archival imagery of M 3-1 showing its remarkable filamentary waist and extended jet-like structures. Credit: Jones et al., 2018. European astronomers have discovered a new binary star at the center of the planetary nebula M 3-1. The newly found binary has an extraordinary short orbital period of slightly more than three hours, which makes it one of the shortest orbital-period binary central stars known to date. The detection is detailed in a paper published July 30 on arXiv.org. Binary central stars could be essential for advancing our knowledge about the formation and evolution of planetary nebulae. For astronomers, short-period post-common-envelope binary systems could be especially helpful in improving the understanding of these processes. Moreover, finding new examples of such objects could provide important insights into the nature of the post-common-envelope phase itself. A team of astronomers, led by David Jones of the Institute of Astrophysics in the Canary Islands, has conducted a long-term monitoring campaign in search of close-binary central stars through photometric variability. For their observations, they used European Southern Observatory's Very Large Telescope (VLT) and New Technology Telescope (NTT). Planetary nebula M 3-1 was one of the targets of the monitoring campaign. Observations of this nebula disclosed the presence of a central star system exhibiting clear short-period variability with prominent primary and secondary eclipses. "Here, we present the discovery of a close-binary central star in the planetary nebula M 3-1—one of the shortest orbital period binary central stars known (second only to V458 Vul; Rodriguez-Gil et al. 2010), and the shortest to have been discovered photometrically," the researchers wrote in the paper. With an effective temperature of about 48,000 K, the primary star of the newly found binary has a radius of 0.41 solar radii and a mass of 0.65 solar masses. The secondary star is significantly cooler and less massive – its effective temperature is assumed to be between 5,000 and 12,000, while its mass equals some 0.17 solar masses. The radius of the companion was estimated to be approximately 0.28 solar radii. The system has a period of around three hours and five minutes, which, as noted in the paper, makes it the shortest-period photometrically-variable binary central star and the second shortest-period binary central star yet discovered. The researchers noted that both stars of this system are found to be very close to Roche-lobe-filling, which could indicate that they will undergo a merger in the future. According to the paper, due to the low masses of the stars, the time to merger via gravitational waves would be approximately 1.5 billion years. "The primary would almost certainly be expected to settle to a smaller radius (i.e. no longer be Roche-lobe-filling) on a much shorter timescale, meaning that mass transfer will again become feasible. As such, the orbital separation of the system will evolve as a function of mass exchange, mass loss and magnetic braking, rather than the radiation of gravitational waves," the astronomers concluded. 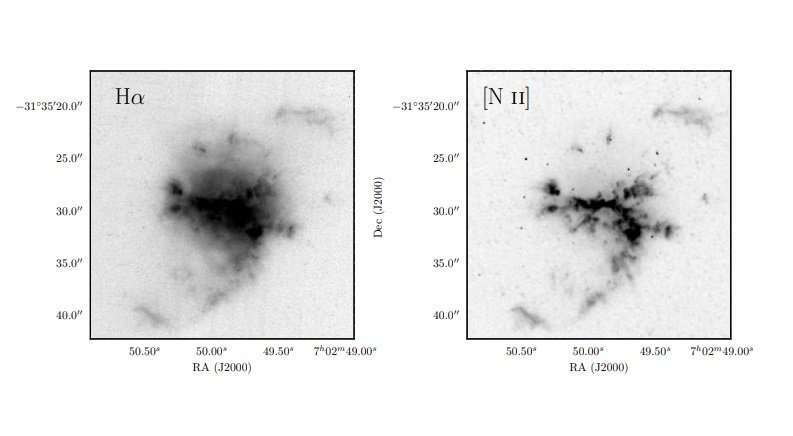 The authors of the paper added that in order to better constrain the parameters of both stars as well as to better understand the formation and evolution of this system, further chemical and morpho-kinematical studies of the M 3-1 nebula are required. We present the discovery of a 3h5m orbital-period binary star at the heart of the planetary nebula M 3-1 - the shortest period photometrically-variable central star known and second only to V458 Vul, in general. Combined modelling of light and radial velocity curves reveals both components to be close to Roche-lobe-filling, strongly indicating that the central star will rapidly evolve to become a cataclysmic variable, perhaps experiencing a similar evolution to V458 Vul resulting in a nova eruption before the planetary nebula has fully dissipated. While the short orbital period and near Roche-lobe filling natures of both components make the central binary of M 3-1 an important test case with which to constrain the formation processes of cataclysmic variables, novae and perhaps even supernovae type Ia.